Free Libya T-Shirt - Libyan dictator Moammar Gadhafi is dead! Libya is now free! Celebrate Libya's freedom with this unique "Free Libya" peace sign featuring the colors of the Libyan flag. Free Libya! 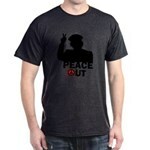 Peace Out Libya T-Shirt - Peace out with Libya's former dictator Moammar Kadafi. His reign of terror is over! Express your happiness on this joyous occasion with this funny peace design. Celebrate Libya's freedom! 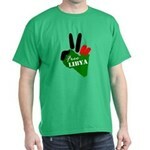 Free Libya White T-Shirt - It's a Free Libya BOGO! 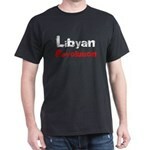 For a limited time get one Libya Free with Purchase of One Libya. Yay! Show your support for the smart shoppers of Benghazi! Woot!